magfest 2018 will take place on Wednesday April 11, 2018.
magfest is a new and exciting event for all those interested in the Irish magazine media business. It’s a unique conference and festival experience to celebrate all-things-magazine, an event where the world of Irish magazine media comes together to explore, advance, and celebrate what we have done, what we are doing, and, most importantly, what we do next. magfest is a very special celebration of Irish magazine publishing with memorable keynote speakers and vibrant discussions; an unparalleled opportunity to hear from and meet the people who really make magazine media so special. This year’s theme is INNOVATION + INSIGHT. Innovation is the driving force of economic growth and development and new platforms and new business models are emerging all the time. Business transformation is essential for b2c and b2b media industries. magfest Ireland is the ideal opportunity for publishers to look at changes in the industry, to share innovations and insights with leading industry experts from Ireland and abroad. Natasha Christie-Miller leads the digital intelligence brands WGSN, Glenigan, Groundsure, Planet Retail/Retail Net Group, DeHavilland and world-class content and events brands Retail Week and World Retail Congress. She is building these core, high growth products in scale industries delivering high value intelligence and connections for our powerful, professional audiences. She started her career in sales and led the commercial teams on consumer brands such as Elle, Red and the Emap parenting portfolio before taking on the role of Publishing Director of Drapers, the fashion industry bible at Emap B2B in 2005. 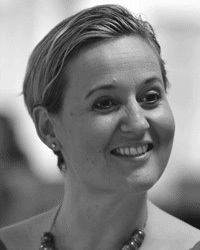 She then became Managing Director for the Retail portfolio in 2007. Natasha was appointed CEO of EMAP in 2010 and a divisional CEO at Ascential in 2015. Natasha is also a Director of the Professional Publishers Association, and a non-executive director of Proven Growth and Income Plc. An accomplished creative development director, with an exceptional track record. Successful at creating and reinventing powerful identities for brands in the UK, America and Australia. Fluent at producing and presenting highly compelling content and events, for just about every audience. 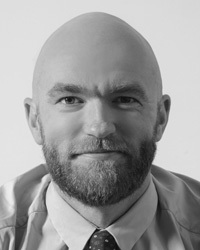 Nine years as creative and editorial development director for IPC Media, now Time Inc. UK. Art director of Rolling Stone and creative director of Mademoiselle in New York. Winner of the BSME Mark Boxer award. Paul McNamee was appointed UK editor of The Big Issue in summer 2011, the first time The Big Issue had a single editor across all national and regional and online editions. 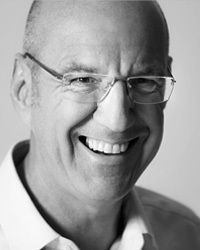 He is currently the Chair of PPA Scotland. He started out on local newspapers in Northern Ireland, before co-founding Irish music magazine Blank with Colin Murray. He moved to the NME in London and following four years there he began working for a number of newspapers and magazines, amongst them the Daily Mirror, The Guardian and The Irish Times. 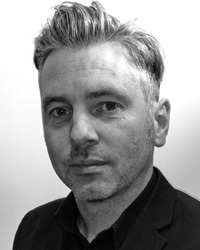 He has been named Magazine Editor of the Year three times by PPA Scotland and was named British Editor of The Year in 2013 and 2016 by the BSME (British Society of Magazine Editors). He is a regular voice on BBC radio, particularly in Scotland. The Big Issue delivered ABC increase in 2015 and 2016. 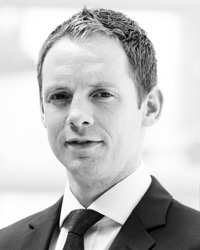 Brendan Gavin is a Senior Associate specialising in corporate law and member of the firm’s GDPR team. He advises on corporate transactional matters as well as specialising in technology and intellectual property matters and has extensive experience in data protection. Clients include companies at all stages of development – from start-ups and entrepreneurs, to mid-cap and scaling companies, to large domestic and multinational organisations, from a range of sectors including technology, energy, retail, food, hotel, medical devices, but in particular from the technology sector. Having a diverse range of publishing experience across the UK and Ireland for the News Corp and Trinity Mirror brands, Trevor Carroll champions PressReader’s strategic market advancement for publishers in the U.S. and UK. He has led award-winning presentations in the London market, including placing first at Advertising Week Europe’s Last One Standing event, where he represented News UK to debate diversity in the advertising industry. Trevor helps guide publishers through a dynamic media landscape into a digital future, working closely with publishing partners to connect them to a global audience on PressReader, the world’s largest all-you-can-read platform with 7,000+ magazines and newspapers. We start with the magfest lunch at 1pm; the magfest Business Sessions are at 2pm; and we finish with a magfest Cocktail Session from 5pm onwards. magfest is a unique magazine event, with magazine publishers and enthusiasts coming from all over Ireland to be inspired by first-class speakers, meet others in the industry and hear about the latest developments in the magazine world. magfest will help you think differently about your magazines and your business. So here are nine reasons to join us for a day of all-things-magazine! magfest ireland brings together some of the most inspiring minds in media and magazine publishing. They’re literally there just to inspire you – no other agenda. Their talks are designed to show you their passion, what has made their businesses successful and prompt you to think differently about how you approach your business. magfest ireland is a brilliant opportunity for you and your team to work together to improve your business. magfest will have something for everyone involved in your business. magfest ireland is an ideal opportunity to meet other publishing professionals and enthusiasts. The people you meet will be able to offer you advice from their own experience, could be potential collaborators on projects, might be on the lookout to buy or sell a magazine, or might be able to connect you with someone who could help you with a problem. With the day-to-day running of a business, do you ever feel like you don’t have any time to reflect or think of how to improve? magfest ireland is the perfect antidote as the best way to work on your business, rather than in your business. magfest ireland includes a shop window where you can see a magnificent display of Ireland’s leading business to business and consumer titles. magfest ireland takes place in Dublin city centre in the fabulous surroundings of the Lord Mayor’s Residence, The Mansion House, Dawson Street, Dublin 2 and is serviced by all major transport options. Suppliers are there to make your life easier. Bring your publishing dilemmas to magfest ireland and ask our sponsors to help – that’s what they’re there for! We have competitions to win some spot prizes – just tweet something about the event on #MagFestIRL before 5pm on the day and you will be entered into a draw. The winner of the best tweet will be at announced at the magfest cocktail session. Tough time in the office at the moment? If your email pings one more time will your head explode? MagFest Ireland is a chance to have a fun day out with like-minded people. There’s a pre-event magfest lunch and a post-event magfest cocktail session included in the price of your ticket! magfest is organised by Magazines Ireland. We also organise the annual Irish Magazine Awards. We are always looking for potential speakers and collaborators for our events – if you know someone who you think would be brilliant don’t hesitate to get in touch. magfest is an excellent opportunity for your company to meet Ireland’s leading magazine publishers. The event will be attended by the publishers, editors, designers and advertising executives of all the major Irish magazines. The profile and recognition that your company will receive from your association with magfest are extensive and tangible.